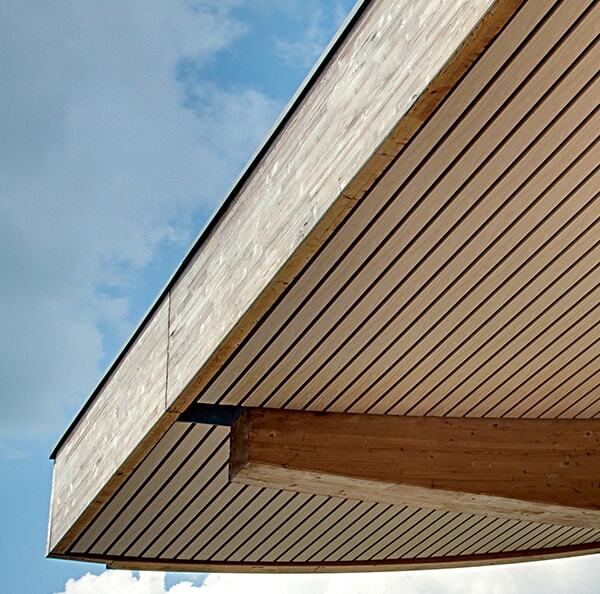 Our exterior wood ceilings are created from specially treated panels, making them ideal for external applications where protection to harsh weather conditions is required. The extra treatment to the panels not only improves their durability but also makes them entirely maintenance free. 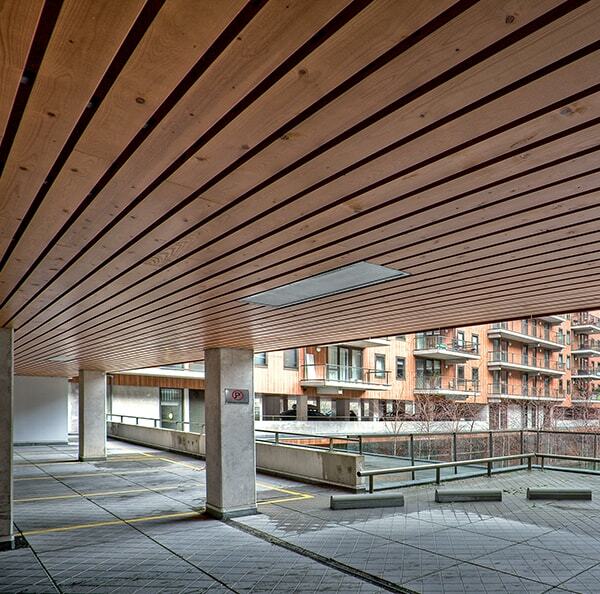 Exterior wood ceilings can create a stunning visual to the external roof space of a building. Applications including soffits, canopies, walkways and atriums can have their appearance transformed with the application of an external wood finish. 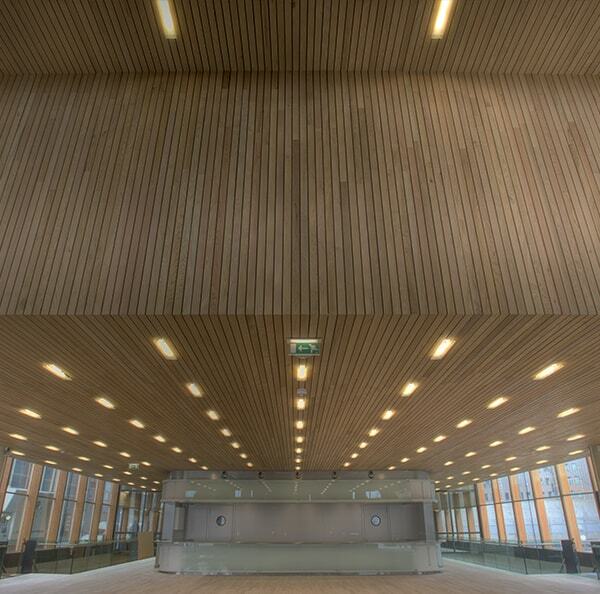 We offer exterior wood ceilings in solid or veneered wood, as well as metal woodprint. A wide range of wood species enable the architects to add a stunning natural finish to their project. As well as being available in a wide range of species, exterior wood ceilings can be created from different panel sizes and configurations. These include curved finishes, straight or diagonal patterns, or a combination of the two. Wood ceiling panels can be specified in open or closed formations, dependant on your specific designs and/or project requirements. We have over 20 different solid wood species available, all of which create a unique appearance. However, the choice does not stop there. These woods can also have a stain, lacquer or coloured finish added to them to give the designer or architect even more choice. For our veneered woods, there are over 40 veneers to choose from, ranging from light to dark tones. Be inspired with our project gallery on suspended open ceilings. Click on the photo for more information. Use the filters below to browse our full selection of Exterior Wood Products.